With this timeless adage in mind, we design our products and work closely with our manufacturers, because true, lasting quality only stems from an inordinate attention to detail. The Amazon rainforest is the only place in the world where the Hevea Brasiliensis tree grows in the wild. True guardians of the rainforest, tappers extract the milky sap without harm to the trees. Wild tapped latex has more elasticity, and higher resistance to water than farmed rubber, making for a flexible, resilient bowl that repels moisture. All of our Re Made plunger bowls feature wild tapped latex. Pigs raised in pasture have feet with high fat content. 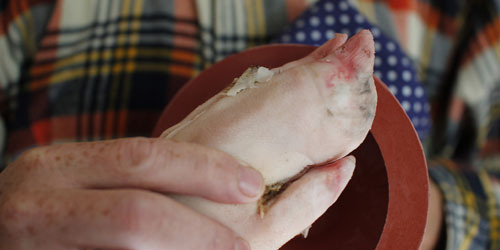 The lard in pig feet offers a natural moisturizer with varying levels of omega oils. Raised in Sugar Mountain Farm in Virginia, the feet of our heritage breed pigs thrive in the southern mountain climate, leading to stronger animals with better marbling. The emollients of the fat are perfect for buffing rubber and maintaining elasticity in your plunger bowl. 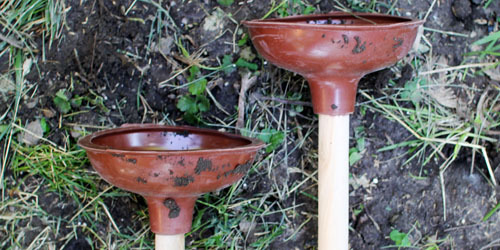 Our American Master and Hudson Bay plunger bowls are hand cast from fine silicone rubber. 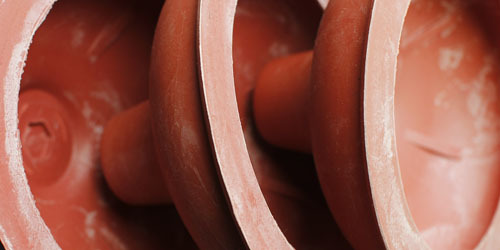 Both supple and incredibly tough, OEM is ideal for the needs of a plunger. Suppleness means the latex gets more flexible and stays that way longer, while toughness means the bowl won’t give even when plunging a stubborn turd. OEM rubber is incredibly resilient, which is why it’s commonly used for truck vacuum caps. 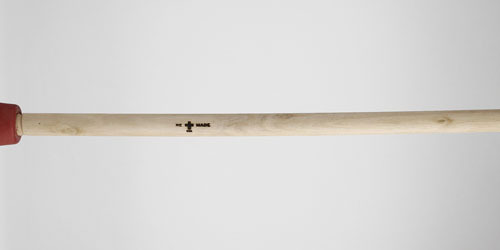 The helves of our American Master Plunger are built from Appalachian white pine, the same wood used for our Hudson Bay plungers. Pine is chosen when a balance of flexibility, strength, and weight are required. For the plunger, these qualities allow the handle to absorb some of the shock from each strike. Pine delivers immense amounts of energy into each plunge while withstanding significant flex.